New year, new printables! 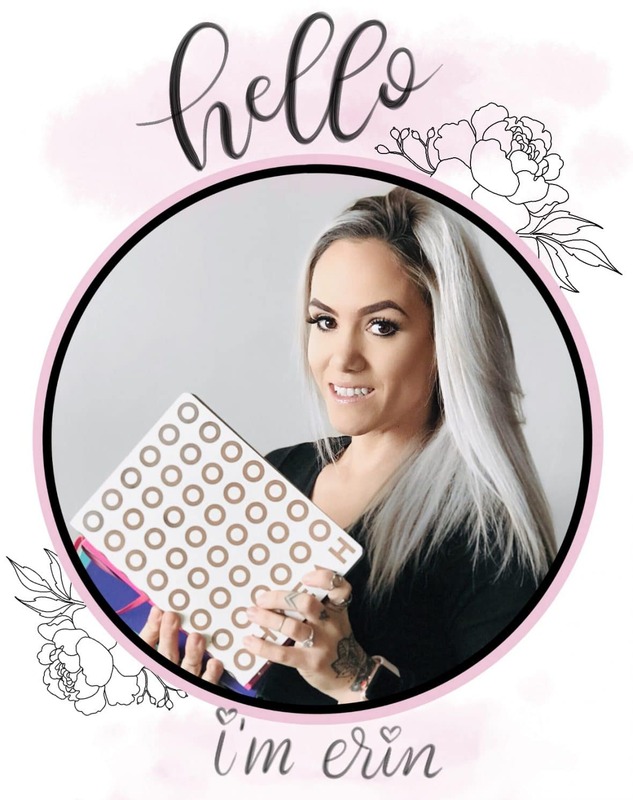 Check out this list of amazing free bullet journal printables for 2019. Since starting The Petite Planner in 2017, I’ve noticed a few things about our awesome community. We all have compulsory stationery shopping problems and occasionally blackout when placing orders on Amazon. Free bullet journal printables are always welcome and much appreciated! I know it’s a lot to look through, but even though these are older, there are still some gems in there and I highly recommend browsing through them. But, if you aren’t up for that, this list will give you plenty of options. 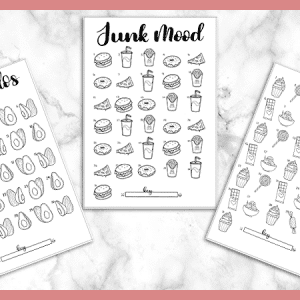 These are the best free printables for your 2019 bullet journal. 1). 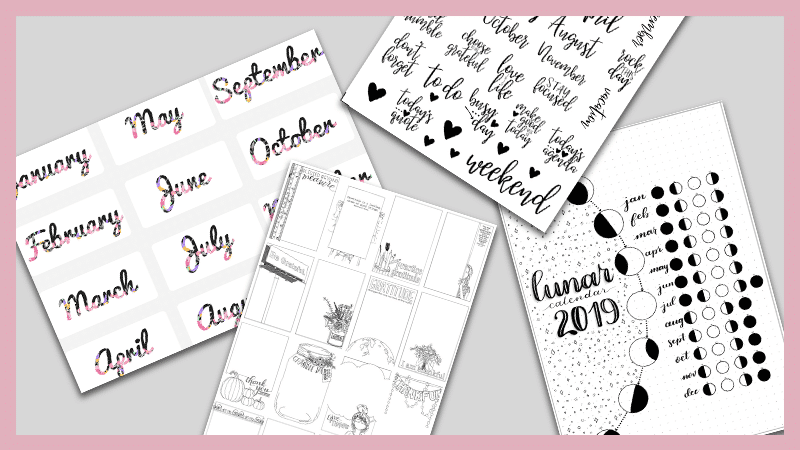 2019 Bullet Journal Bundle: this bundle from Minimal Plan includes a year at a glance, mini monthly calendar stickers, monthly headers, and weekly headers. 2). Cute Mini 2019 Calendar Stickers: Whether you are creating a year at a glance page, future log, or just want to add a mini calendar to your weekly spread, these are great. It includes 4 themes: pandas, unicorns, owls, and sunflowers). 3). Mood Mandala: This mood mandala has 31 spaces to be used for any month of the year. It’s originally A4 size, but you can change your print settings to have it print to half the size so it will fit in a standard A5 journal. 4). 2019 Lunar Calendar: This is one of my most recent free printables, and also one of the most highly requested. It’s a single A5 size page with all the lunar phases for 2019 with a dot grid background. 5). Circular Habit Tracker: This printable is thoughtfully designed with 31 days and enough room for 6 habits. There is also a rectangular version of this printable included. 7). 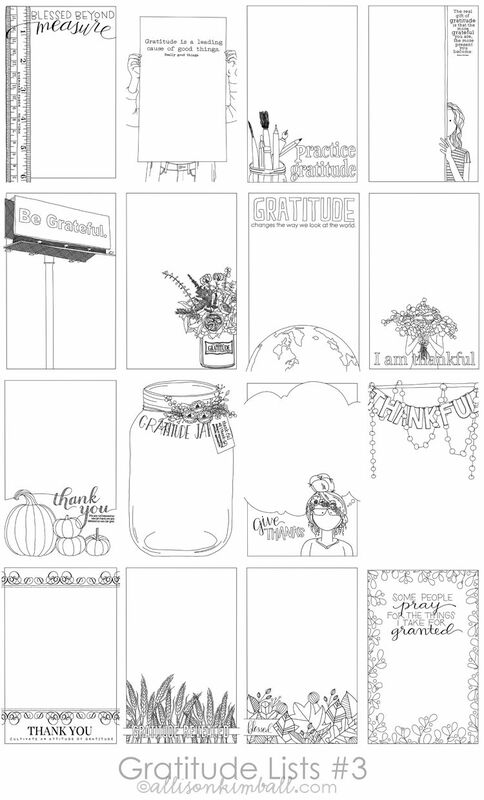 Mini Gratitude Boxes: These adorable hand-drawn gratitude boxes are from Allison Kimball. You can download and print them directly through this link as it appears her website is no longer functioning. 8). Annual Mood Tracker: This pastel pink mood tracker is adorable! It’s originally sized on US Letter paper, but the website states it can be resized to fit your A5 bullet journal. 9). Mood Tracker Mason Jars: These adorable mason jar monthly mood trackers are available in both 30 and 31-days to work for any month of the year. 10). Floral Monthly Header Stickers: You have to scroll a little to find these hidden stickers, but they are there. And the designs are beautiful! Add a floral touch to your bullet journal with these free monthly headers. 11). 4 Single Page Weeklies: This printable includes 4 cute weekly spreads. Be sure to set your print setting to print on half-a-page instead of a full size Letter page. 12). Fitness Stickers: Need a little motivation for your workouts? These sticker from Pink Pixel Graphics are adorable. 13). Dot Grid Paper: If you have a journal with lined or blank pages and want to add some dot grid pages, you can get them free, here. 14). Future Log & Someday Log: The future log is customizable to fit any year and has space for events, appointments, tasks, and birthdays. Plus, you’ll get the Someday Log. 15). 2019 Monthly Calendars: Snag these calendars for each month of 2019 in your choice of Monday or Sunday start in either portrait or landscape orientation. 16). 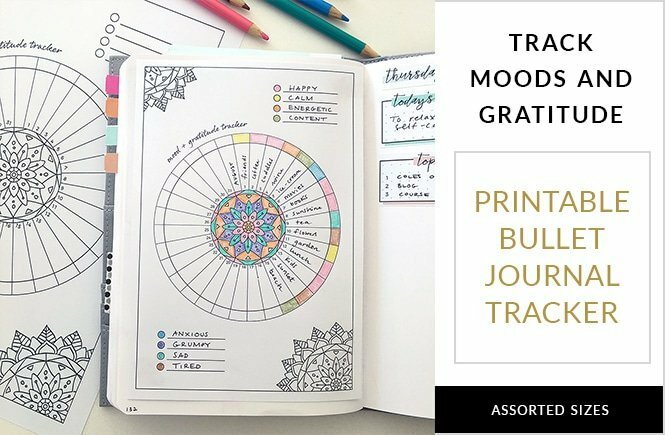 Mood & Gratitude Tracker: How amazing is this combined mood and gratitude tracker in a circular format? It’s available in both A4 and A5 size. 17). 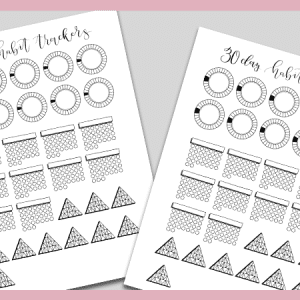 Mini Circular Habit Trackers: These are perfect for the whole year as the printable comes with 28, 30, and 31-day mini circular trackers. 18). Debt Payoff: While I don’t think these were created for bullet journaling, I absolutely love the designs and they can certainly be adapted to fit your journal. Visualize your debt payoff progress with these 4 common debts. See the end of this post to see how to resize printables to fit an A5 size journal. 19). Water Tracker Printable Stickers: This is one of my own free printables (I have tons in the VIP Resource Library) and includes 3 different versions of water trackers. Photo From: The Posh Planner Co.
20). 2019 At a Glance: This year at a glance page is so cute and feminine, with pink monthly headers and bow graphics. Be mindful that this printable is strictly available with a Monday start. 21). Minimal Birthday Tracker: Don’t want all the fancy decorations and doodles but need a place to keep track of loved ones’ birthdays? 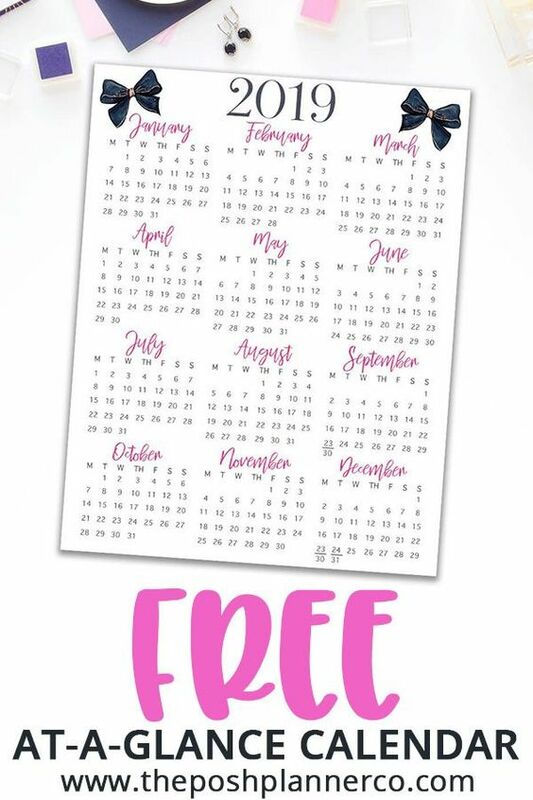 This printable has plenty of room for each month and is minimalistic. 22). Categorized Grocery List: Whether you are looking to stick to a budget and meal plan or trying to lose weight, this printable grocery list is a great addition to your monthly pages. 23). Banners and Brush Lettering Weekly Spread: This 2-page weekly spread is divided horizontally and has lots of room for writing tasks and taking notes. It can be adapted for any week and has a Monday Start. 24). Printable Planner Stickers for 2019: This set is incredible and includes banners for January-December, days of the week in wreath designs, year banners, and more! 25). Books to Read Tracker: You’ve seen the intricate bookshelf style books to read trackers. Here is a simpler version that is completely free to download. 26). 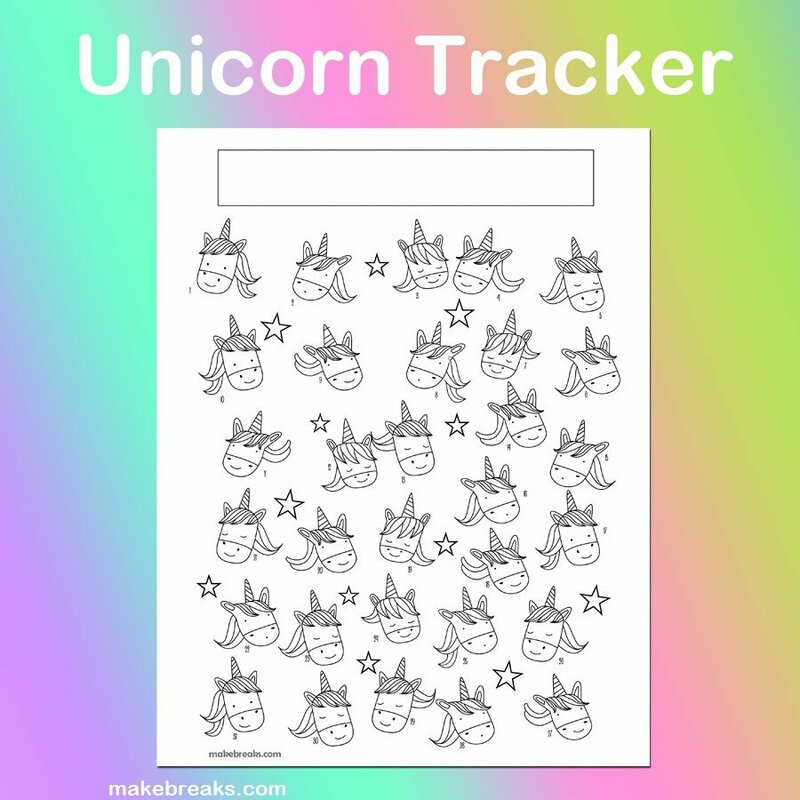 Unicorn Mood Tracker: This adorable unicorn tracker can be used as either a mood tracker or a habit tracker for 3-4 habits. It includes 31 unicorns so you can use it for any month of the year. 27). Header Stickers: These brush lettered header stickers include all of the months of the year, numbers 1-31, to-do headers, a weekend header, and more. 28). Cute Succulent Planner Stickers: This adorable set is meant for a planner, but can most certainly be used in your bullet journal. 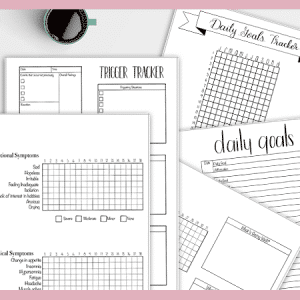 With over 50+ stickers including task lists, checkboxes, decorative stickers, and headers, this set can easily spruce up a weekly or monthly log. 29). Cactus Themed Weekly: This is a fun 2-page weekly log with space to track meals, take notes, plan for the upcoming week, and keep track of all of your to-do list items. If you find a free printable, feel free to use it however works best for you. But, if you are a little confused or have never used printables before, I want you to feel confident in doing it. 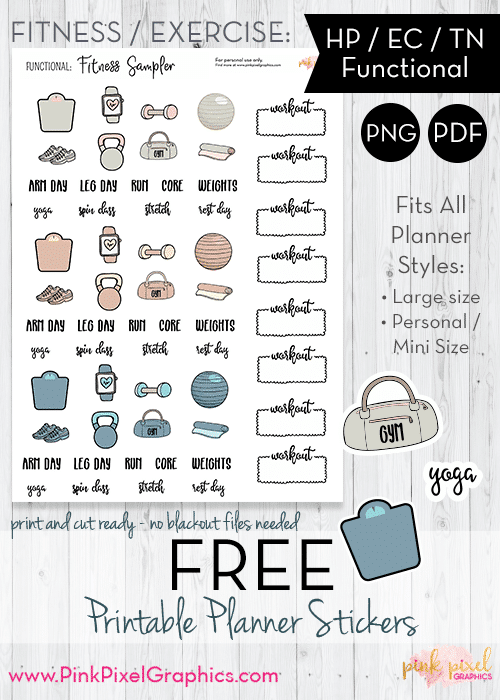 First, choose your printables and download them to your computer. Most will be in PDF, PNG, or JPEG format. If it’s a PDF, you will need a PDF reader like Adobe Reader, which you can get for free here. After you have the printable open on your computer, select the print option. There are special programs and web applications that can be used to resize files. However, in most cases you won’t need to do this. To resize a US Letter or A4 printable to fit an A5 journal, take these simple steps. Go to your print options on the file you want to print. In Adobe Reader, select the button at the bottom that says Page Setup. From here, choose A5 from the dropdown menu. Back on the main print setting, make sure you select fit. This will fit the original US Letter size page onto the A5 size page you selected. Now, simply print your document. For image files (PNG and JPEG), open them in your whatever photo application you use. You will apply the same settings. 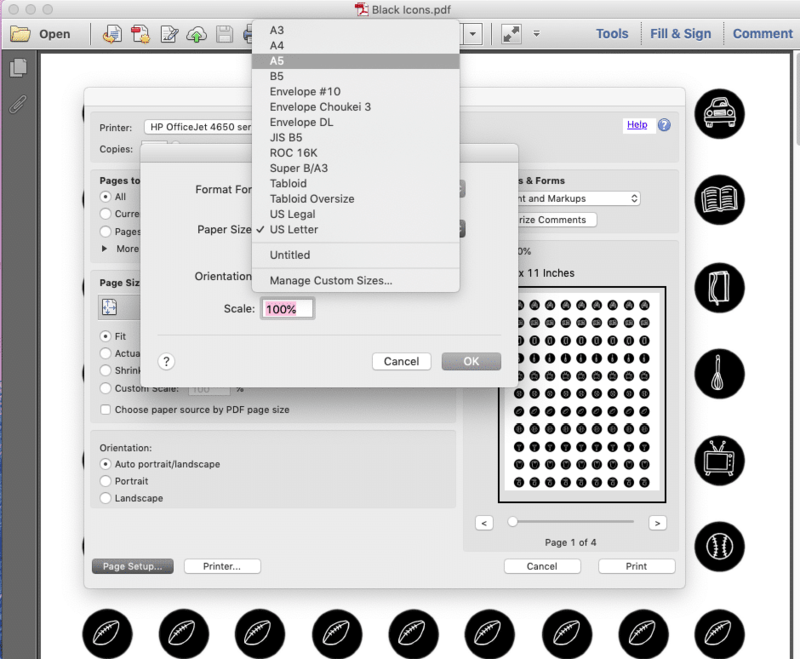 Open your print settings, select A5 size paper and then make sure you have Fit selected to Page selected. There are a few different methods of actually adding the printables to your bullet journal. Personally, I prefer to print my pages and printable stickers on self-adhesive matte sticker paper. The linked paper is by far my favorite and the best value. You can also use a glue stick or adhesive tape. The next step is to cut out your pages or stickers. To cut pages, I like to use a straight edge cutter, like this one. And for stickers, use either a nice pair of scissors or an Exacto Knife. Then, line your edges up and slowly press your printable down into your journal. Use a ruler and rub it across the page to get rid of air bubbles and ensure a secure fit. Do you use printables regularly? I have an ever-growing library of free printables and a shop for printables as well. You can sign up for the VIP Resource Library for free to gain access and be notified of new freebies and exclusive downloads. Join the VIP Resource Library and Get Instant Access to Tons of Freebies! Thank you for doing the work to put this awesome list together!